The best way to deploy your Vapor application is Vapor Cloud. 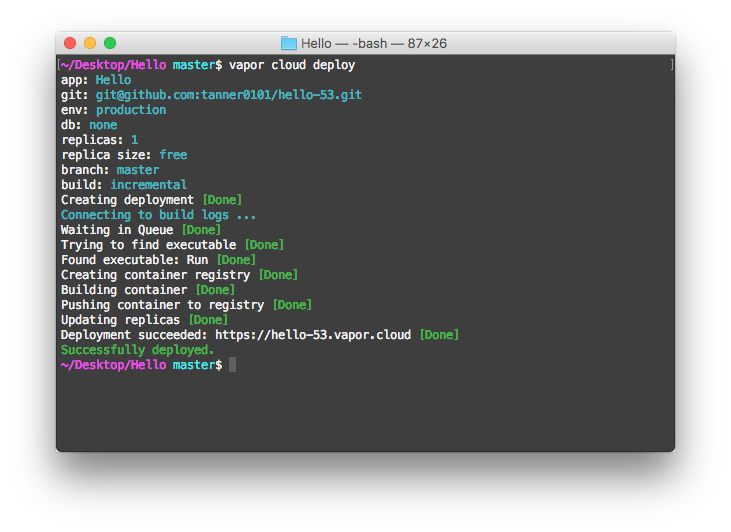 If you already have the Vapor Toolbox installed, then you can deploy your Vapor app to the cloud with just one command. !!! note: Run the deploy command inside the root directory of your Vapor project (the one with the Package.swift file). 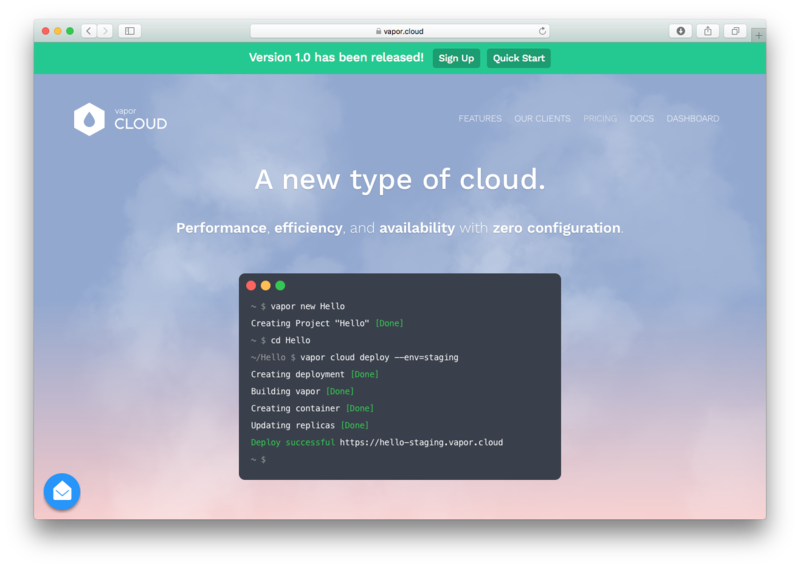 Visit the step-by-step guide on Vapor Cloud's docs for detailed instructions on how to deploy your app to Vapor Cloud!